Rayman creator Michel Ancel was eager to move away from his landmark franchise and build something open-world with a deep story. 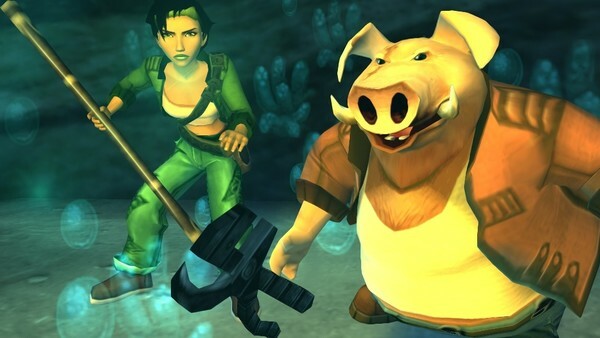 So began the three-year development of the expensive Beyond Good And Evil, a proposed first entry in a trilogy. When it released, both of those target were hit. 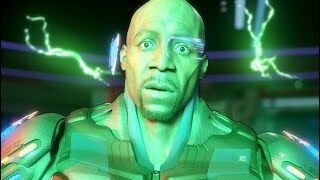 Its expansive world was stunning and vast for the current gen. Also its gripping plot was full of suspense, big stakes and intergalactic intrigue that successfully engaged. It even managed to tug on the heart-strings with the father/daughter dynamic of rogue photographer Jade, and her giant pig-man mentor Pey’j. More confusing though were the multitude of game mechanics thrown at the player. Its part open-world explorer, part platformer, part stealth, part third-person action, part….everything else. Regardless, its strong points held the quality up, but the uneasy categorisation turned a lot of people off when it came to sales, and Ubisoft’s ambitious franchise crashed and burned. In retrospect no one regretted the failure as much as Ubisoft themselves, and after fourteen years of a vocal cult following building - as well as strong sales with a HD remaster for PS3 and Xbox 360 - the company finally pulled the trigger and announced Beyond Good And Evil 2 at E3 2017.